As is the smile upon thy face." "Duties bring blessings with them." ''In the acquisition of more or less useless knowledge, soon happily to he forgotten, boyhood passes away. The schoolhouse fades from View, and we turn into the world's high-road. "- J. K. JEROME. My new tutor, the Rev. Charles Bradley, was selected by Arthur Stanley, who had been acquainted with his brother, afterwards Master of University College at Oxford. I went over from Lime to see him at Hastings, and at once felt certain that, though he was very eccentric, his energy and vivacity were just what would be most helpful to me. His house was an ugly brick villa standing a little way back from the road in the pretty village of Southgate, about ten miles from London, and he had so many pupils that going there was like returning to school. The life at Southgate for the next two years was certainly the reverse of luxurious, and I did not get on well with my tutor owing to his extraordinary peculiarities, and probably to my many faults also; but I feel that mentally I owe everything to Mr. Bradley. "Vita sine proposito languida et vaga est"1 was the first principle he inculcated. He was the only person who ever taught me anything, and that he did not teach me more than he did was entirely my own fault. He had a natural enthusiasm for knowledge himself, and imparted it to his pupils; and the energy and interest of the lessons at Southgate were perfectly delightful - every hour filled, not a moment wasted, and a constant excitement about examinations going on. I am sure that the manly vigour of my surroundings soon began to tell on my character as much as my mind, and at Southgate I soon learned to acquire more openness in matters of feeling, and a complete indifference to foolish sneers. Mr. R. for two years and a half had totally, systematically, and most cruelly neglected me: Mr. Bradley fully did his duty by me - to a degree of which I have only in after years learned the full value. But the acuteness of her observation, the crispness of her conversation, and the minute and inflexible justice of her daily conduct, ever showed the most rare union of masculine vigour with feminine delicacy. My aunt was very intimate with the Miss Berrys, who both died in 1852, Agnes in January, Mary in November. Their celebrity began with their great intimacy at Devonshire House and Lansdowne House: the old Duchess of Devonshire was their great friend. I believe they were not clever in themselves, but they had a peculiar power of drawing clever people around them. They had both been engaged, Mary to the O'Hara, Agnes to the Mr. Ferguson who married Lady Elgin. They were very kind-hearted, and were, as it were, privileged to say rude things, which nobody minded, at their parties. Often when a fresh person arrived towards the end of the evening, Miss Berry would say before all the other guests, "You see I've been able to get no one to meet you-no one at all." She would go out of the room whilst she was pouring out the tea, and call out over the stairs, "Murrell, no more women, no more women;" and Murrell, the butler, understood perfectly, and put out the lamp over the door. A few very intimate friends would still come in, but, when they saw the lamp was out, ladies generally drove away. Latterly, the Miss Berrys tried to draw in a good deal. A sort of jeu d'esprit went round to their friends, thanking them for past favours, and asking for a continuance on a smaller scale. It was never quite understood, but was supposed to mean that they did not wish to see quite so many. The death of Miss Agnes was like that of the wife. She had always been touching in that she could never understand how any one could like her better than her sister. She was the housekeeper, and she did what other housekeepers seldom do-she had the soup brought up to her every day whilst she was dressing, and tasted it, and would say, "There must be a little more sugar," or "There is too much salt," so that it was always perfect and always the same. I think it must have been at this time also that I was taken to see the venerable Lady Louisa Stuart, who died soon afterwards.4 I am glad that I can thus always retain a vivid recollection of the daughter of the famous Lord Bute and grand-daughter of Lady Mary Wortley Montagu as a very old lady of ninety-four, in a large cap, sitting in an old-fashioned high - backed chair covered with white stuff, in a room of extreme bareness. Great was my excitement, on first going to Southgate. I stayed on the way with the Stanleys, to see the Exhibition (of 1851) which was then in full preparation, and the procession at the opening of Parliament. "6 Grosvenor Crescent, Feb. 3, 1851. - The exterior of the Crystal Palace is disappointing, I had imagined it so much higher, but the interior is and looks gigantic. The most striking feature is the great tree: it is wonderful to see its huge branches enclosed quite to the topmost twigs, and the details of the building are beautiful"
"Feb. 4. - I went to the Bunsens' house to see the procession. There was a crowd of people on the terrace when the great gun announced that the Queen had left the palace, and already from distant parts of the avenue cries of 'God save the Queen' and 'Hurrah! The procession of Lifeguards in their panoply of glittering helmets and breastplates was beautiful. Then came the six gorgeous carriages with the house-hold, and lastly the eight cream-coloured horses drawing the great glass coach. Prince Albert in his great boots sat on the side nearest to us, opposite the Duchess of Sutherland in a diamond tiara; and on the other, the Queen, in a drown and glistening dress of embroidered silver, kept bowing to the shouts of her subjects - so much indeed that I heard a poor Irish-woman exclaim  'Och indeed, and mustn't the poor thing get tired of nodding her head about so.' . . There were forty people at luncheon with the Bunsens afterwards." "Southgate, Feb. 8, 1851. - My own dearest mother, at last I am writing from my own room at Southgate. I joined the omnibus at a public-house at the bottom of Snow Hill5 and drove here through the moonlight, arriving at 10 P.M. We stopped at a large gate in a wall which was opened by a stable-boy, who led the way across a grass-plat with trees. Mr. Bradley met me in the hall, and took me to see Mrs. Bradley, and then to my room, which at first seemed most dreary, cold, and comfortless." "Feb. 9. - I have already seen enough of the life here to know a good deal about it. Mr. Bradley is an excellent tutor, though I could never like him as a man. He is much too familiar with his pupils, pulls their hair or hits them on the toes with the poker when they make mistakes: he will peer into their rooms, and if he finds a coat, &c., lying about, will fine them a penny, and there is a similar fine if you do not put the chair you have sat upon at dinner close up against the wall when you have done with it. The tradespeople are allowed to put in their bills, 'Pane of glass broken by Portman or Brooke,' &c. When I asked him to lend me a pen, he said, 'Oh, I don't provide my pupils with pens.' When he wanted to send a parcel to Miss Jason, he told her brother he should come upon him for the postage. The first thing he said to me after I entered the house was-pointing to the sideboard - 'Mind you never take either of those two candles; those are Mrs. Bradley's and mine' (we have sickly-smelling farthing dips in dirty japanned candle-sticks). These are instances to give you an idea of the man. "When I came down to prayers this morning (at eight, being Sunday), I found all the pupils assembled. I am the smallest but one, and look up at the gigantic Portman, who is only thirteen. Then we had breakfast. Cold beef and ham were on the table, a huge loaf and two little glasses of butter. Mrs. Bradley poured out the tea, while Bradley threw to each pupil an immense hunch off the loaf saying with mine, that I 'must not leave any, or any fat at dinner, that was never allowed; and that I must always say first what I wanted, much or little, fat or not.' After breakfast the pupils all gathered round the fire and talked. Soon Bradley made us sit down to work, myself at Greek Testament, till it was time to go to Church, whither we went, not quite in a schoolboy procession, but very nearly. The church was 'Weld Chapel,' a barn-like building, with round windows and high galleries. At dinner there was cold roast and boiled beef and plum and custard pudding, good and plain, but with severe regulations. We did not have any time to ourselves except three-quarters of an hour after afternoon church, after which we went down to a sort of Scripture examination, with such questions as, 'How do we know that Salome was the mother of Zebedee's children?' I wrote what I thought an excellent set of answers, but they proved sadly deficient, and I am afraid I am a dunce. . . . I am writing now after prayers, in forbidden time, and in danger of having my fire put out for a month! Do not think from my letter that I dislike being here. Oh, no! work, work, is the one thing I need, and which I must and will have, and, if I have it, all petty troubles will be forgotten. Good-night, my own dear blessed mother." "Feb. 10. - Half my first work-day is over, and I have just washed my hands, sooty with lighting my own fire, to write before dinner. At half-past nine we all sat down to work at the long table in the dining-room. I was directed to do Euripides while the 'schemes' (tables of work) of the others were prepared, and we went on till half-past twelve, when Bradley said, 'You've done enough.' Then Campbell asked me to walk with him and Walker to the station. All my companions seem very old." "Bradley improves greatly on acquaintance, and is very kind to me, though I am sorry to say he finds me far more backward and stupid than he expected, especially in grammar. He has a wonderfully pleasant way of teaching, and instead of only telling us we are dunces and blockheads, like Mr. R., he helps us not to remain so. "He was exceedingly indignant yesterday at receiving a letter from Lord Portman to say that his son had complained of the dreadful damp of the house, that his shirts put out at night were always wet before morning. After expatiating for a long time upon the unkindness and impropriety of Portman's conduct in writing to complain instead of asking for a fire, he ended goodhumouredly by insisting on his going out into a laurel bush in the garden with Forbes, to receive advice as to improved conduct for the future! All this every pupil in the house was called down to witness: indeed, if any one does wrong, it is Bradley's great delight to make him a looking-glass to the others. Sometimes he holds up their actual persons to be looked at. If they are awkward, he makes them help the others at meals, &c., and all his little penances are made as public as possible." "Feb. 14. - The days go quickly by in a succession of lessons, one after the other. I am much happier already at Southgate than I ever was anywhere else, for Bradley's whole aim, the whole thought of his soul is to teach us, and he makes his lessons as interesting as Arthur (Stanley) himself would. I like all my companions very much, but Walker best; and, though I am the smallest, thinnest, weakest fellow here, I do not think they like me the worse for it." "Feb. 16. - Yesterday, after work, I went by train to Hatfield House, provided with a large piece of cake for luncheon by Mrs. Bradley. . . . You may imagine my delight, as I expected something like Penshurst at best, to see tower after tower, and pile after pile of the most glorious old building, equally splendid in colour and outline - far the most beautiful house I ever saw. It was a perfect day, the sun lighting up the glorious building, and making deep shadows upon it, and glinting through the old oaks in the park upon the herds of deer. . . The train was forty minutes late, and it was quite dark when I got back, but Mrs. Bradley's good-nature gave me a welcome and a hot meat tea, whereas with Mrs. R. there would indeed have been cold behaviour and cold tea - if any. "The only way of getting on with Bradley is the most entire openness, and answering all his questions as shortly and simply as possible. . . . After Cicero he always gives us a composition to translate into Latin out of his own head, most extraordinary sometimes, though in the style of what we have been reading. I am already beginning to find Cicero quite easy, and am beginning at last even to make some little sense of Euripides." "Feb. 21. - At half-past six I hear knocking without intermission at my door, which it is generally a long time before I am sufficiently awake to think other than a dream. Presently I jump up, brush my own clothes, seize my Cicero, and look it over while I dress, and at half-past seven rush downstairs to the dining-room. For some minutes the stairs are in a continual clatter. Meantime I retire into a window in agonies of agitation about my Cicero, till Bradley comes in rubbing his hands, and sits down in an arm-chair by the fire: I sit down by him, and Hill on the other side of me, like a great long giant. I generally do this lesson very ill, partly from want of presence of mind, partly from inattention, and partly because I am scarcely awake: however, Bradley makes it not only instructive but interesting, always giving us funny sentences out of his own head to construe into the sort of Latin we are doing. I quite enjoy my lessons with him, only he must think me such a dunce. After the lesson is construed, I sometimes have to do it all through by myself or the others do it and I correct them (if I can). Sometimes the poker is held over their toes, when, without exception, they do it worse than before, and down it comes. Then we parse. "Then a little bell tinkles. Portman cuts the bread, Bradley the ham, and I help to set chairs in two rows from the fire, while the others hang over it, very grim and cold. Two maidens and a stable-boy came in, we sit in two rows confronting each other, and Bradley in the oddest possible tone reads a chapter in 'Proverbs' and a prayer. Then the chairs are put to the table: I sit next but Hill to Mrs. Bradley, which means I am fourth eldest, Walker on the other side of me, Forbes and Campbell opposite. At breakfast every one talks of plans for the day, Forbes and Portman of hounds, races, and steeplechases, Campbell of church windows; it is very different from the silent meals at Lyncombe. "We do not begin regular work again till half-past nine, though I generally prepare mine, but sometimes Forbes persuades me to come out and give them a chase, that is, to run away as hard as I can, with all the others yelping like hounds at my heels; but the scene of these chases is only a square walled garden and orchard, and there are no places for concealment. We come in very dirty, and Buchan is sometimes made to wear his dirty shoes round his neck, or to have them under his nose all worktime. "I work in my room till ten, when I come in with Walker for the second Cicero lesson, which is even pleasanter than the other. Afterwards we write Latin compositions out of our own heads! Then I sometimes say Greek grammar, or else work in my own room again till twelve, when I go down to the young Cambridge wrangler, who is teaching some one all worktime, but with whom I do nothing except for this half-hour. He looks very young and delicate and is childish in manner, and generally gets into a fix over a fraction, and so do I, but we fumble and whisper together over arithmetic till half-past twelve. Meanwhile my letters have generally come, books are clapped together, and I run upstairs to write to you. "A dinner-bell rings at half-past one, and the others come in from the drawing-room, whither they adjourn before dinner, with the penalty of a penny if they lean against the mantelpiece, as they might injure the ornaments. We have the same places at dinner, an excellent dinner always-variety of food and abundance of it. Afterwards I generally read, while the others play at quoits, and at half-past two I go out walking with Campbell, coming in to begin work at five. At half-past five Walker and I come in with Euripides, which is the last repetition: then I work in my own room till six, when we have tea, with bread and butter and cake. After tea the drawing-room is open to the public till half-past seven, when we all begin to prepare work for the next day, and write Latin exercises till nine, when prayers are read. Afterwards the younger ones generally go to bed, but some of us sit up talking or playing chess, &c., till nearly eleven. "I like the sort of life excessively - the hardly having a moment to one's self as the general working 'subject' takes up all leisure time - the hardly having time even to make acquaintance with one's companions from the succession of all that has to be done. No one thinks it odd if you do any amount of work in your 'own room; of course they laugh at you as 'a bookworm,' but what does that signify? "I have forgotten to tell you that between breakfast and .the chase, Hill and I are examined in three chapters of the Bible which we prepare beforehand. Bradley asks the most capital questions, which one would never think of and we have to know the geography perfectly. I am astonished to find how indescribably ignorant I am." "Feb. 23. - I daily feel how much happier I am with the Bradleys than I have ever been before. Compared to Lyncombe, Southgate is absolute paradise, the meals are so merry and the little congregations round the fire afterwards, and work is carried on with such zest and made so interesting. "Yesterday, after work, I went to Waltham Abbey - a long walk to Edmonton, and then by rail to Waltham. I was very anxious to see what a place so long thought of would be like - a tall white tower rising above trees, a long rambling village street, and then the moss-grown walls of the church. 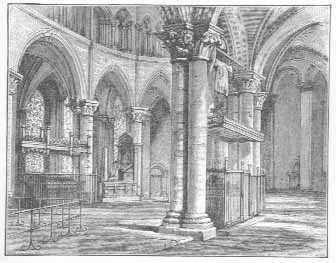 The inside is glorious, with twisted Norman pillars, &c., but choked with pews and galleries. The old man who showed it said he was 'quite tired of hearing of church reform and restoration, though the pillars certainly did want whitewashing again sadly. . . . There is an old gothic gateway on the brink of the river Lea." "Southgate, March 14. - I must tell my mother of my birthday yesterday. Mr. and Mrs. Bradley made me order the meals, and do very much what I liked. The tutor, who can be as savage as a lion during work, relapses into a sucking lamb when it is over. My health was drunk all round at dinner, and 'a truce' given afterwards, which I employed in going with little Fitzherbert Brooke to the old church at Chingford, close to Epping Forest - a picturesque, deserted, ivy-covered building, looking down over the flat country which I think so infinitely interesting, with the churches and towers of London in the distance. "To-day there has been a great fuss, and it will probably have some dreadful ending. In the middle of work we were all suddenly called down, and Bradley, with his gravest face, headed a procession into the garden, where all across one of the flower-beds were seen footmarks, evidently left by some one in the chases yesterday. The gardener was called, and said he saw one of the party run across yesterday, but he was not allowed to say a word more. Then Bradley said he should allow a day in which the culprit might come forward and confess, in which case he would be forgiven and no one told his name, otherwise the shoes of yesterday, which have been locked up, would be measured with the footprints, and the offender sent away." "March 15. - The plan has quite answered. In the evening, Bradley told me the offender had given himself up. No one knows who it is, and all goes on as before. Some of the others are given a tremendous punishment for running through some forbidden laurel bushes-the whole of 'Southey's Life of Nelson' to get up with the geography, and not to leave the house 'til it is done) no second course, no beer, and . . . to take a pill every night." "April 2. - The other day I was very careless in my work, and was asked where my mind was, and as I could not tell, Campbell was sent upstairs to fetch-my mind! and came down bearing two little pots of wild anemones, which were moved about with me as my 'mind,' to the great amusement of the others. . If I should ever seem to complain of anything here in my letters, mind you never allude to it to the Bradleys, as there is only one thing which Bradley never forgives a pupil, and that is having caused him to write a letter." "April 7. - Yesterday I went with Campbell and Edgecombe to Hatfield, whence we ran all the way to St. Albans, an effort, but quite worth while, though we had only an hour there." "(After the Easter vacation), April 27. - When I opened my eyes this morning on the wintry wilderness here, what a change it was from Lime - withered sooty evergreens, leafless trees, trampled grass, and thick London fog - I think the angels driven out of Paradise must have felt as I do, only I have a bad headache besides. . . . All here is the same as when we left, to the drawling sermon of Mr. Staunton about faith, grace, and redemption, sighing and groaning and hugging the pulpit-cushion the while. It is bitterly cold, but the law of the house allows no more fires. . . Even Fausty's white hair, which still clings to my coat, has its value now." "April 29. - Bradley has now taken a notion that I am dreadfully self-conceited, so I am made to sit on a high chair before him at lessons like a little schoolboy, and yesterday, for mistakes in my Latin exercise, I was made to wear my coat and waistcoat inside out till dinner-time." "May 11. - Yesterday, I went by train to Broxbourne, and walked thence by Hoddesdon across the bleak district called the Rye, till I saw an oasis of poplars and willows by the river Lea, and a red brick tower with terra-cotta ornaments, twisted chimney, flag-staff, and a grey arched door below. I had not expected it, so you may imagine how enchanted I was to find that it was the tower of the Rye-House. In that road Charles and James were to have been murdered on their return from Newmarket, and for the plot conceived in that tower Algernon Sidney and William Lord Russell died! "Bradley is now alternately very good-natured and very provoking. He continually asks me if I do not think him the most annoying, tiresome man I ever met, and I always say, 'Yes, I do think so.' In return, he says that I am sapping his vitals and wearing him out by my ingratitude and exaggerations, but he does not think so at all." "May 18. - I have been to Harrow. Mr. Bradley lent me a horse, to be sent back by the stable-boy after the first six miles, so I easily got through the rest. I had many hours with Kate, and came away immediately after dinner, arriving at exactly ten minutes to ten - the fatal limit; so Bradley was pleased, and welcomed me, and I did not go supperless to bed." "June 8, 1851. - Yesterday I walked to Dyrham Park near Barnet, to pay a visit to the Trotters. It is a handsome place. . . . I wrote upon my card, 'Will you see an unknown cousin?' and sending it in, was admitted at once. I found Mrs. Trotter6 in the garden. She welcomed me very kindly, and seven of her nine children came trooping up to see 'the unknown cousin. Captain Trotter is peculiar and peculiarly religious. I had not been there a minute before he gathered some leaves to dilate to me upon 'the beauty of the creation and the wonderful glory of the Creator,' with his magnifying - glass. He builds churches, gives the fourth of his income to the poor, and spends all his time in good works. I stayed to tea with all the children. The gardens are lovely, and the children have three houses in the shrubberies - one with a fireplace, cooking apparatus, and oven, where they can bake; another, a pretty thatched cottage with Robinson Crusoe's tree near it, with steps cut in it to the top." "June 11. - The first day of our great examination is over, and I have written seventy-three answers, some of them occupying a whole sheet." "June 12. - To-day has been ten hours and a half of hard writing. I was not plucked yesterday!" "June 15. - I reached Harrow by one, through the hot lanes peopled with haymakers. I was delayed in returning, yet by tearing along the lanes arrived at ten exactly by my watch, but by the hall-clock it was half-past ten. Bradley was frigidly cold in consequence, and has been ever since. To-day at breakfast he said, 'Forbes may always be depended upon, but that is not the case with every one.'" "June 20. - I have had an interesting day! - examinations all morning - the finale of Virgil and then, as a reward, and because neither of my preceptors could attend to me, Bradley said I might go where I liked; so I fixed on Hertford, and, having walked to Ponder's End, took the train thither. . . . From Hertford, I walked to Panshanger, Lord Cowper's, which is shown, and in the most delightful way, as you are taken to the picture-gallery, supplied with a catalogue, and left to your own devices. The pictures are glorious and the gardens are quaint, in the old style. At Ware I saw the great bed, but the owners would not let me draw it on any account, because they were sure I was going to do it for the Pantomime. The bed is twelve feet square and is said to have belonged to Queen Elizabeth. "In the Bible examination I am second, in spite of having said that Ishmael married an Egyptian, and having left out 'They drank of that rock which followed them' in answer to the question 'What were the miracles ordained to supply the temporal wants of the Israelites in the wilderness?'" "June 25. - I am enchanted - quite enchanted that we are really going to Normandy. . . . I feel satisfied, now the end of the quarter is come, that I never was happier anywhere in my life than I have been here, and that I have done more, learned more, and thought more in the few months at Southgate than in all the rest of my life put together." We crossed to Boulogne on a sea which was perfectly calm at starting, but on the way there came on one of the most frightful thunderstorms I ever remember, and the sea rose immediately as under a hurricane. A lady who sate by us was dreadfully terrified, and I have no doubt remembers now the way in which (as the waves swept the deck) my mother repeated to her the hymn - "Oh, Jesus once rocked on the breast of the billow." I have often seen in dreams since, our first entrance into a French harbour, brilliant sunshine after the storm, perfectly still water after the raging waves, and the fishwomen, in high white caps like towers (universal then) and huge glittering golden earrings, lining the railing of the pier. 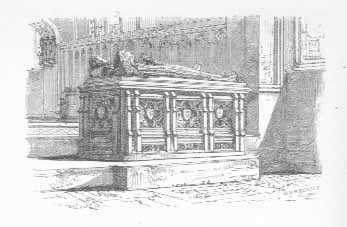 We saw Amiens and had a rapid glimpse of Paris, where we were all chiefly impressed by the Chapelle St. Ferdinand and the tomb of the Duke of Orleans, about whom there was still much enthusiasm. During this visit I also saw three phases of old Paris which I am especially glad to remember, and which I should have had no other opportunity of seeing. I saw houses still standing in the Place du Carrousel between the Tuileries and the then unfinished Louvre: I saw the Fontaine des Innocents in the middle of the market, uncovered as it then was: and I saw the Tour de S. Jacques rising in the midst of a crowd of old houses, which pressed close against it, and made it look much more picturesque than it has done since it has been freed from its surroundings. On leaving Paris, we spent delightful days at Rouen, and visited, at Darnetal, the parents of M. Waddington, who became well known as Minister of Foreign Affairs at Paris, and ambassador in England. From Havre we went by sea to Caen, arriving full of the study of Norman history and determined to find out, in her native place, all we could about Gunnora, Duchess of Normandy (grandmother of William the Conqueror), from whose second marriage both my mother and Charlotte Leycester were directly descended. Very delightful were the excursions we made from Caen to Bayeux with its grand cathedral and the strange strip of royal needlework known as "the Bayeux Tapestry:" and to the quaint little church of Thaon and Château Fontaine Henri, a wonderfully preserved great house of other days. Ever since I have had a strong sense of the charm of the wide upland Normandy plains of golden corn, alive with ever-changing cloud shadows, and of the sudden dips into wooded valleys, fresh with streams, where some little village of thatched cottages has 4 noble church with a great spire, and an area wide enough to contain all the people in the village and all their houses too. The most beautiful of all the breaks in the cornland occurs at Falaise, where the great castle of Robert the Devil rises on a precipice above a wooded rift with river and watermills and tanners' huts, in one of which Arlette, the mother of the Conqueror, and daughter of the tanner Verpray, was born. From Falaise we went to Lisieux, which was then one of the most beautiful old towns in France, almost entirely of black and white timber houses. It was only a few miles thence to Vat Richer, where we spent the afternoon with M. Guizot - "grave and austere, but brilliantly intellectual," as Princess Lieven has described him. His château was full of relics of Louis Philippe and his court, and the garden set with stately orange-trees in large tubs like those at the Tuileries. My mother and cousin returned to England from hence, but I was left for some weeks at Caen to study French at the house of M. Melun, a Protestant pasteur, in a quiet side-street close to the great Abbaye aux Dames, where Matilda of Flanders is buried. "Caen, July 26, 1851. - It was very desolate, my own mother, being left alone in that square of Lisieux, and the old houses seemed to lose their beauty, the trees and cathedral to grow colourless, after you were all gone, so that I was glad when the diligence came to take me away. It was a long drive, passing through Coupe Gorge, a ravine where Napoleon, hearing diligences were often robbed there, made one man settle, saying that others would soon follow, and now there is quite a village. "I have a pleasant room here, with a clean wooden floor, and a view of S. Pierre from the window. Its only drawback is opening into the sitting-room where Mr. T., my fellow-pensionnaire, smokes his pipes. He is a heavy young man, very anxious to impress me with the honour and glory of his proficiency as a shot and cricketer, and of the Frenchmen he has knocked down and 'rather surprised.' We had prayers in Madame Melun's bedroom, she being dressed, but 'le petit' snoring in bed. The whole family, including les petits, have a great meat breakfast with wine, followed by bowls of sour milk. . . . Such a touching funeral procession has just passed up the Rue des Chanoines, a young girl carried on a bier by six of her companions in white dresses and wreaths." "Sunday, July 27. - Yesterday I went a walk with M. Melun to the Prairie, where the races are going on. This morning he preached about them and the evils of the world with the most violent action I ever saw - stamping, kicking, spreading out his arms like the wings of a bird, and jumping as if about to descend upon the altar, which, in the Temple, is just under the pulpit. This afternoon I have been again to the service, but there was no congregation; all the world was gone to the races, and, M. Melun says, to perdition also." "July 28. - It is such a burning day that I can hardly hold my head up. Everything seems lifeless with heat, and not a breath of am I never missed a green tree so much: if you go out, except to the Prairie, there is not one to be seen, and even the streets are cool and refreshing compared with the barren country. Tens of thousands of people collected in the Prairie this morning, half to see the races, half the eclipse of the sun, for they both began at the same moment, and the many coloured dresses and high Norman caps were most picturesque." "July 30. - It is like the deadly motionless heat of 'The Ancient Mariner;' I suppose the eclipse brings it . . . the baking is absolute pain. . . . It is tiresome that the whole Melun family think it necessary to say 'bon jour' and to shake hands every time one goes in and out of the house, a ceremony which it makes one hotter to think of"
"July 31. - The heat is still terrific, but thinking anything better than the streets, I have been to Thaon - a scorching walk across the shadeless cornfields. The church and valley were the same, but seemed to have lost their charm since I last saw them with my mother. I have my French lesson now in the little carnation-garden on the other side of the street." "August 1. - I have been by the diligence to Notre Dame de la Deliverande, a strange place, full of legends. In the little square an image of the Virgin is said to have fallen down from heaven: it was hidden for many years in the earth, and was at length discovered by the scratching of a lamb. Placed in the church, the Virgin every night returned to the place where She was disinterred, and at last the people were obliged to build her a shrine upon the spot. It is an old Norman Chapel surrounded by booths of relics, and shouts of 'Achetez donc une Sainte Vierge' resound on all sides. Latterly, to please the fishermen, the worship of the Virgin has been combined with that of St. Nicholas, and they appear on the same medal, &c. When a crew is saved from shipwreck on this coast, it instantly starts in procession, barefoot, to 'La Deliverande,' and all the lame who visit the chapel are declared to go away healed. . . In a blaze of gold and silver tinsel, surrounded by the bouquets of the faithful and the crutches of the healed, is the image which 'fell down from heaven,' - its mouldering form is arrayed in a silver robe, and, though very old, it looks unlikely to last long. I went on with M. Melun to Bernières, where there is a grand old church, to visit a poor Protestant family, the only one in this ultra-Catholic neighbourhood. They had begged the minister to come because one of the sisters was dead, and the whole party collected while he prayed with them, and they wept bitterly. Afterwards we asked where we could get some food. 'Chez nous, chez nous,' they exclaimed, and lighting a fire in their little mud room with some dried hemp, they boiled us some milk, and one of the sisters, who was a baker, brought in a long hot roll of sour bread, for which they persistently refused any payment. . . . I have had an English invitation from Madame de Lignerole in these words - 'Will you be so very kind as to allow me to take the liberty of entreating you to have the kindness to confer the favour upon me of giving me the happiness of your company on Friday.'" "August 2. - We went to-day to see M. Laire, an old antiquary who has lived all his life upon vegetables. His house is very attractive; the court, full of flowers mixed with carvings and Celtic remnants, borders on the willows which fringe the Odon, and the rooms are crammed with curiosities and pictures relating to Caen history. The old man himself is charming, and spends his life in collecting and giving away. He gave me a medallion of Malesherbes, and many other things." "August 2. - I have been to dine with the Consul, Mr. Barrow. Under his garden is the quarry whence the stone was taken which built Westminster Abbey. It undermines all the grounds, and once, when a part fell in, the hot air which came out made it quite hot in winter. Mr. Barrow has built a conservatory over the spot, which needs no other heat, and plants flourish amazingly, though only camellias and smooth-leaved plants will do, as others are too much affected by the damp." Want of money was still always the great trouble of my boyhood, as my dear mother never could be persuaded to see the necessity of my having any, and after she had made a minute calculation of the necessary pennies that came into her head, always gave me just that sum and no more, never allowing anything for the ever-recurring incidents and exigencies of daily life. When I was sixteen she was persuaded to allow me £10 a year, but out of this I was expected to buy all the smaller articles of dress, boots, hats, gloves, &c., so, as may be imagined, my annual allowance was almost nil; and my excursions at Southgate had been only possible by starvation, and because the third-class ticket to London cost only fourpence. When I was left at Caen, just the absolutely needful sum for my return journey was given me, and no allowance made for any personal expenses of my stay - for washer-women, fees to servants, or payments for the many purchases which my mother wrote to desire me to make for her. Thus, when the time came for setting out homewards, with the nine packages which were to be taken to my mother, I was in the greatest embarrassment, and many were my adventures; yet my dread of a sea-voyage still made me refuse altogether to go by Havre and Southampton, and my longing to see a historical spot which I had long read and heard of made me determine if possible - if I half died for it on the way - to visit St. Denis, a place I had always had a special longing after. The journey entailed a singular chapter of accidents. During the whole of the first long day - twelve hours diligence journey - I had nothing whatever to eat but a brioche and some plums; but at seventeen starvation is not one of the worst things in life, and when I arrived at Evreux, the fair of St. Taurinus, the patron saint of the place, was going on, and I was in ecstasies the next morning over the costumes which it brought into the town, as well as over the old Bishop's Palace and the beautiful cathedral with its lace-work architecture. From Evreux the diligence had to be taken again to Bonnières, where I joined the railway to Paris, and in the evening reached St. Denis. I had no money to go to a hotel, but spent the night in a wretched café which was open for carters under the walls of the cathedral, where I got some sour bread and eggs, having had no food all day. At five in the morning the doors of the Abbey were opened, and in my raptures over the monuments of Dagobert, Francis I., &c., I forgot all my miseries - especially in the crypt, full then of royal tombs and statues At half-past twelve, when I was ready to leave, I found that no more trains for Boulogne would stop at St. Denis that day, and that I must return to Paris. I went in the omnibus, but owing to my ignorance of French, was carried far beyond my point, and had to be dropped, with all my packages, in a strange street, whence with some difficulty I got a porter to drag my things to the station, but arrived when the train was just gone, and no other till half-past seven, and it was then two. Hungry and forlorn, I made my way, losing it often, on foot, to the Tuileries gardens, where I felt that the beauty of the flowers repaid me for the immense walk, though I was disconcerted when I found that sitting down on a chair cost the two sous I had saved to buy bread with. In my return walk, ignorance and mistakes brought me to the railway for Rouen (Gare S. Lazare), instead of that for Boulogne (Gare du Nord). However, in time I reached the right place. As we were half-way to the coast in the express, a strong smell of burning was borne on the wind, and the carriage soon filled with smoke. Looking out, we saw a line of screaming faces, and the roof of one of the front carriages in flames. Pieces of burning stuff rushed flaming past. A young lady in our carriage - "Gabrielle" - fell on her knees and said her prayers to the Virgin. Suddenly we stopped, and heard the rush of water above us. The engine-driver, to save the train, had, with terrible risk to the passengers, pushed on at a frightful speed to the pompe d'incendie of Pontoise. At half-past one in the morning we reached Boulogne. I was told that the steamer for Folkestone would not start for an hour. An official in blue with silver lace said that he would call for me then. At the time, but rather late, he came. A cab was ready, and we were only just in. time to catch the steamer. The official, as I was going on board, desired that I would pay my fare. I supposed it was all right, and gave up almost all my few remaining shillings. I was assured the packet was the one for Folkestone, and, though surprised at having no ticket, supposed it was because most of the passengers had through tickets from Paris to London, and because my going on was an afterthought. The steamer started, but, before leaving the harbour, concussed with another vessel, which broke one of the paddle-boxes and delayed us an hour. Meantime it began to pour in torrents, the deck swam with water, and before we got out to sea the wind had risen and the sea was very rough. The vessel was fearfully crowded with three hundred and fifty people going to the Hyde Park Exhibition, and more than half of them were sea-sick. At last day broke, and with it the English coast came in sight. But it was very odd; it was not a coast I knew, and Dover Castle seemed to be on the wrong side. Then a man came for the tickets, and said I must have had one if I had paid: as I had not one, I could not have paid. It was in vain that I protested I had paid already. "When I get to Folkestone," I said, "I should see some one who could prove my identity," &c. The man grinned. "It will be a long time before you get to Folkestone," he said, and he went away. Then I saw Dover Castle fade away, and we still coasted on, and I saw a little town which looked strangely like the pictures of Deal. At last a man next to me, recovering from a paroxysm of sea-sickness, said, "You think you're in the boat for Folkestone, but you are in the boat for London!" I had been swindled at Boulogne by a notorious rogue. Some weeks afterwards I saw in the papers that he had been arrested, after a similar case. I was in despair, not so much because of the long voyage, as because to lay for it was impossible. We were not to reach London till four in the afternoon. I implored the captain to set me down, we were so near the coast. "No," he said, "go to London you must." At last, as we passed Margate, he said I might perhaps get out, but it was rather too much to sacrifice the comfort of three hundred and fifty passengers to one. However, the three hundred and fifty seemed very glad of a break in the monotony of their voyage, and as there was another passenger anxious to land, a boat was hailed and reached the vessel. All my packages were thrown overboard and I after them, with injunctions to sit perfectly still and hold fast, as it was so frightfully rough. The injunctions were unnecessary, since, exhausted as I was, I very soon became unconscious, as I have so often done since in a rough sea. It was too rough to land at the pier, so we were landed on a ridge of rocks at some distance from the shore. Seeing all my packages, the coastguardsmen naturally took us for smugglers, and were soon on the spot to seize our goods and carry them to the custom-house. Here I had to pay away all that remained to me except sixpence. With that sixpence I reached Ramsgate. There were four hours to wait for a train, and I spent it in observing the directions on the luggage of all arriving passengers, to see if there was any one I could beg of - But no help came; so eventually I told my story to the station-master, who kindly gave me a railway pass. At Ashford I had four hours more to wait, and I lay almost unconscious (from want of food) upon the floor of the waiting-room. Lying thus, I looked up, and saw the astonished face of my cousin Mary Stanley gazing in through the window at me. She was leaving in two minutes for France, but had time to give me a sovereign; with that sovereign, late in the night, I reached home in a gig from Hastings. To MY MOTHER (after returning to Southgate). "August 27, 1851. - I have just got your dear letter to refresh me after the first morning's work. It is strange to have to give oneself to Latin again after having thought of nothing but French for so long." "August 28. - When I hear of all you are doing, I cannot but long to be with you, and yet I am very happy here in finding it so much less disagreeable than I expected, the Bradleys perfection, Walker very nice, and Portman delightful." "Sept 12, 1851. - I have just been to the old chapel in Ely Place and to the Savoy. . . . One may study architecture just as well in London as abroad: I had no idea before what beautiful bits are there." "Oct 18. - I have had an unfortunate trouble with Bradley lately. I am sure I have done right, but it is very unfortunate indeed. I will tell you all about it. In my Latin exercise I put 'quo velis' for 'go your way,' meaning go where you like,' which I thought was the meaning of that English sentence. 'Bradley scratched it out, and I said, 'But "go your way" does mean go where you like.' He thought I contradicted him and was very angry, and appealed to the opinion of every one at the table. They said it meant 'go away.' He said I was very obstinate, and wrote down, '"I have a bad headache, go your way " - what does that mean?' I wrote, 'Go wherever you like.' I thought no more was going to happen, but, to my astonishment, heard him send for Mrs. Bradley, who wisely refused to come. Then, in a voice in which he never spoke to me before, he ordered me to go into the drawing-room. I prepared to obey, but he posted himself in the doorway and pushed me back into a chair. He then asked me again to explain the sentence. I said of course he was the only judge about the Latin passage, but that in English 'go your way' might certainly be taken to mean 'go where you like.' He said, 'If you are going to differ from me in this way, I shall not attempt to teach you any more.' All that day, morning, afternoon, and evening, I laboured or twaddled at arithmetic with Mr. Howse. Late in the evening Bradley took me for a whole hour by myself and tried to persuade me to say 'go your way' never meant 'go where you like.' I said if I did, it would not be true, but that I was very sorry to have differed from him, and had never meant in the least to contradict him. But it is no use; he quotes from the Bible - '"The house divided against itself falleth," therefore I cannot teach you any more.' I went to him again and said 'if I had seemed the least ill-tempered I begged his pardon.' He said I had not seemed at all ill-tempered, I had only differed from him. You need not be alarmed, however, for he will never send away for such a trifle the pupil who loves him best in spite of all his eccentricities: I have only told you all this in case anything more should happen. As I called on the B. 's to-day, I asked, without explanation, what they thought 'go your way' meant. They said at once, 'Go where you like.'" "Oct 21. - Dearest mother, the dispute with Bradley has now assumed so much more serious an aspect that I am afraid it cannot end well. For two days he said nothing more about it, so I did not volunteer anything: he was only very unpleasant in his manner to and about me. "This morning he called me into his dressing-room and talked. He said that now he must write to you. But now he harps upon my setting up my opinion, and having said in the first moment, 'I always have thought so, and always shall think so.' In vain have I acknowledged that this was a very improper speech, that I only said such a thing hastily in a moment of annoyance, and in vain have I begged his pardon repeatedly, and offered to do so, if he wished it, before all his pupils. He says mine has been a successful instance of open rebellion. I have in vain tried to convince him how foolish a thing it will sound if I am sent away or go away merely because my opinion has differed from his: he now says it will be because I have 'rebelled against him' - though it would be strange indeed if I had wished to 'rebel' against the only tutor I have ever liked, from whom I have received so much kindness and learnt so much. I did not think it would come to this, and even now I cannot think I have done wrong, except in one hasty speech, which I am very sorry for. "I am so sorry you should be troubled by this, dear mother, and even now I think Bradley will not be so infatuated - so really infatuated as to send away the only one of his pupils who likes him much, or would be really sorry to go." "Oct. 22. - Only a few words, my own dear mother, to say we are all going now very much as if nothing had happened. I thought yesterday morning I should certainly have to go away, as Bradley repeatedly declared he would never hear me another word again, because I had differed from him before all his pupils. But at Cicero time he called me down and asked, 'Why did you not come down to your Cicero?' I said, 'Because I was packing up, as you said you would never hear me another word again.' He said, 'Oh, you may put whatever qualification on my words you like: whatever you like.' So I came down, and he took no notice, and I have come down ever since, and he treats me as if nothing had happened. He must have thought better of it. "Mrs. Bradley sent me a beautiful myrtle branch from the nursery-garden, as a sign that all was right, I suppose: and I have expressed all penitence that can possibly be expressed." "Nov. 13. - Yesterday I even let Bradley use his stick over the Virgil to put him into a good humour, and then asked for leave to go to the Temple Church and afterwards, brimful of the descriptions in Knight's 'London,' I went to Crosby Hall and to St. Helen's, Bishopsgate, full of delightful tombs. My coats are in holes and my shoes have no soles, so will you please give me some money to mend them?" "Nov. 23. - To-day I have seen Smithfield, and St. Bartholomew's, and the Clerk's Well of Clerkenwell. I wonder if my 'kind good Mama,' as Mrs. Barrington calls her in writing, will let me go to see my cousins the Brymers at Wells before Christmas: old Mr. Liddell has given me some money to take me there." "Harrow, Nov.25, Sunday. - Yesterday I walked here with my bundle, meeting Kate at the foot of the hill. . . . To-day we have been to the Chapel Royal at St. James's, where Dr. Vaughan had to preach a funeral sermon for the King of Hanover.9 The old Duke of Cambridge was there, and startled people by the cordiality of his loud assent - 'By all means!' to the invitation 'Let us pray.' I must leave early to-morrow morning, as I have promised to be at Southgate at 9 A.M."
"Nov. 28. - We are in the depth of examinations. Some of the fellows are so excited about them, that they do not go to bed at all, only lie down on the rug at 5 A.M. for a short rest before dawn. To-morrow is the 'great Napoleon stakes, when all the horses are to run.' I think we shall have a pretty jumble, as we are to go to sleep on Napoleon and wake on Charles V. - such a confusion of campaigns (fifteen of Napoleon's) and places, and the passage and flow of all the rivers the two heroes ever crossed." "Dec. 15. - On Thursday evening all the other fellows rushed up to my room shouting 'Ichabod! Hare is plucked in Charles V.' They were enchanted, because they thought it so conceited of me to take up the additional subject; but their triumph was a short one, for it was soon discovered that only half the marks had been added up. "Friday was a very long examination in the Bible. Amongst the questions were - 'Give the size, population, and government of Nineveh; the route of Jonah to Nineveh from Joppa; the religions of the sailors; where you suppose Tarshish to be, and the reason of your supposition; who were Tirshakeh, Adoram, &c.' It was a most interesting examination to get up. Yesterday was Euclid. It was much easier than I expected, and finished by twelve, so Bradley sent me to London on a commission. I had also time to go to the Bunsens, who were at luncheon, but when I sent in my card, they sent for me into the dining-room. Several gentlemen were there: I believe one of them was the Duke of Nassau. Madame Bunsen is always most kind in her welcome." My visit to Wells took place, and was most delightful. Mrs. Brymer was the eldest granddaughter of John Lyon of Hetton, youngest brother of my great-grandmother Lady Anne Simpson, and she and her husband Archdeacon Brymer were most kind, genial, benevolent people, who had no children, but lived very luxuriously in a charming house in "the Liberty" at Wells. I had made their acquaintance at Bath when I was with Mrs. Barrington. Though it was bitterly cold weather, I made many drawings of Wells, which I have always thought the most perfectly beautiful cathedral town in England, with its clear rushing water, old palace and gateways, grand cathedral, and luxuriant surrounding orchards. It was a visit I looked forward to repeating very often, but the kind Archdeacon and his wife died - almost at the same time - very soon afterwards. All through the year 1851 the Père La Vigne had been preaching constantly at Rome at the Church of S. Luigi dei Francesi. "Italima" had gone to hear him, with many other Protestant ladies. One evening she said to her faithful Victoire that she wished to be dressed very early the next morning - in black, with a veil, as if for the Sistine. Victoire did her bidding, and she went out early, and returned in the course of the morning, when she called Victoire to her, and said, embracing her, "À présent nous sommes vraiment surs; nous avons été toujours surs; à présent nous le sommes doublement." - "Qu'est que cela veut dire?" said Victoire to herself. - "Je suis devenue catholique;" continued Italima; "je l'ai été toujours au fond du cur, à présent je le suis en réalité." She then called Félix and took him by the hand - "Victoire vous expliquera tout," she said. Lady Lothian had been the "marraine," and, added to the influence of the Père La Vigne, had been that of Manning, himself a recent convert to the Catholic Church. That evening Italima said to Victoire, "Nous allons avoir la guerre dans la maison," and so it was. My sister discovered (at a ball, I believe) the next day what had happened, and she was quite furious - "en vraie tigresse." "Il n'y avait pas de reproches qu'elle ne faisait à sa mére" (records Victoire); "elle disait à sa mére qu'elle ne voulait plus de elle. Elle se renferma avec sa tante. Cela dura plus que deux ans." To Victoire herself she never spoke at all for several months. For two whole years my sister deserted the drawing-room of Palazzo Parisani, and lived shut up with her aunt in her boudoir. Their chief occupation was drawing in charcoal, in which singular art they both attained a great proficiency. Esmeralda never spoke to her mother unless it was necessary. Italima must have led rather a dreary life at this time, as other events had already weakened her connection with the members of her own family and most of her old friends, and her change of religion widened the breach for ever. Lord and Lady Feilding10 had been most active in urging and assisting Italima's change of religion, and they now turned to my sister, leaving no means untried by which they might make her dissatisfied with the Protestant faith. As they left Rome, Lord Feilding put into her hand a long controversial letter, imploring her to study it. That very spring his own faith had been strengthened by a supposed miracle in his family. Lady Feilding had long been ill, and had partly lost the use of her limbs from sciatica. She had to be carried everywhere. All kinds of baths and doctors had been tried in vain. The case was almost given up, when Pope Pius IX. advised him to apply to a family of peasants living in the mountains above Foligno, who possessed a miraculous gift of healing. St. Peter, it was said, had passed by that way and had lodged with them, and, on taking leave, had said that of silver and gold he had none to give them, but that he left with them his miraculous gift of healing, to be perpetuated amongst their descendants. A messenger was despatched to this favoured family, and returned with a venerable old peasant, respectably dressed, who went up to Lady Feilding, and, after reciting the Lord's Prayer, Hail Mary, and Apostles' Creed, said, "Per l'intercessione dei Sti. Apostoli S. Pietro e S. Paolo siete guarita da tutti i mali come speriamo." He passed his hand rapidly over her limbs, and making the sign of the cross, said, "In nomine Patris et Fili et Spiritus Sancti" - and added, "È finito." Then Lady Feilding felt her limbs suddenly strengthened, and rising, walked upstairs like other people, which she had not done for many months, and the same afternoon went to St. Peter's to return thanks, walking all over that enormous basilica without pain.11, 12 Her illness returned slightly, however, in the following winter, and in the summer of 1853 she died of consumption at Naples. Her death was a great grief to Italima. It was in the Carnival of 1852, immediately after her mother's change of religion, that my sister, after the then fashion of Roman ladies, was seated in one of the carriages which in a long line were proceeding slowly up the Corso, and whose inmates were employed in pelting those of the carriages which met them with bouquets and bonbons. As she was eagerly watching for her friends amongst those who passed, my sister observed in one of the carriages, dressed in deep mourning among the gay maskers, a lady who clasped her hands and looked at her fixedly. The expression of the lady was so peculiar, that when her carriage reached the end of the Corso and turned round at the Ripresa dei Barberi, my sister watched carefully for her reappearance in the opposite line of carriages which she was now again to meet. Again she saw the lady, who again looked at her with an expression of anguish and then burst into tears. The third time they met, the lady laid upon my sister's lap a splendid nosegay of azaleas and camellias, &c., quite different from the common bouquets which are usually thrown about in the Carnival. When my sister went home, she told her little adventure to her aunt and mother while they were at dinner, but it did not make any great impression, as at Rome such little adventures are not uncommon, and do not create the surprise they would in England. The next morning at breakfast the family were again speaking of what had happened, when the door opened, and Félix came in. He said that there was a lady in the passage, a lady in deep mourning, who gave her name as the Comtesse de Bolvilliers, who wished to speak to Italima at once on important business. At that time there were a great many lady quêteuses going about for the different charities, and most of them especially anxious to take advantage of the new convert to their Church. Therefore Italima answered that she was unable to receive Madame de Bolvilliers, and that she knew no such person. In a minute Félix returned saying that Madame de Bolvilliers could not leave the house without seeing Mrs. Hare, for that her errand involved a question of life and death. She was then admitted. The lady who came into the room at Palazzo Parisani was not the lady my sister had seen in the Corso. She said she was come to tell a very sad story, and besought Italima to have patience with her while she told it, as she was the one person who had the power of assisting her. She said that she had a sister-in-law, another Countess de Bolvilliers, who was then living at the Palazzo Lovati in the Piazza del Popolo: that at the beginning of the winter her sister-in-law had come to Rome accompanied by her only daughter, in whom her whole life and love were bound up: that her daughter was of the exact age and appearance of my sister, arid that she (the aunt) felt this so strongly, that it seemed to her, in looking upon my sister, as if her own niece was present before her: that soon after they came to Rome her niece had taken the Roman fever, and died after a very short illness: that her sister-in-law had been almost paralysed by grief, and had fallen into a state of mental apathy, from which nothing seemed able to rouse her. At last fears were entertained that, if her body recovered, her mind would never be roused again, and, two days before, the doctors had advised resorting to the expedient of a violent mental transition, and had urged that as Madame de Bolvilliers had remained for several months in her room, in silence and darkness, seeing no one, she should suddenly be taken out into the full blaze of the Carnival, when the shock of the change might have the effect of re-awakening her perceptions. At first the experiment had seemed to succeed; she had taken notice and recovered a certain degree of animation; but then, in the Carnival, she had seen what she believed to be her daughter returned from the grave; upon her return home, she had fallen into the most fearful state of anguish, and they had passed the most terrible night, the unhappy mother declaring that her lost daughter had returned to life, but was in the hands of others. The sister-in-law implored that Italima would allow her daughter to return home with her to the Palazzo Lovati, in order to prove that she was a living reality, and not what she was believed to be. My sister at once put on her bonnet and walked back with the second Countess de Bolvilliers to the Palazzo Lovati, where the family rented the small apartment at the back of the courtyard. When they entered her room, the unhappy mother jumped up, and throwing her arms round my sister, declared that she was her daughter, her lost daughter, come back to her from the dead. Gradually, but very gradually, she was induced to believe in my sister's separate identity. When she became convinced of this, she declared her conviction that a person who so entirely resembled her daughter in appearance and manners must resemble her in character also;. that she was herself very rich (her husband had been a Russian), and that if my sister would only come to live with her and be a daughter to her in the place of the one she had lost, she would devote her whole life to making her happy, and leave all her fortune to her when she died. My sister declared that this was impossible; that she had a mother of her own, whom she could not leave; that it was impossible for her to live with Madame de Bolvilliers. The Countess flung herself upon her knees, and implored and besought that my sister would reconsider her determination, but Esmeralda was inexorable. The Countess then said that she was of a very jealous disposition; that it was quite impossible that she could go on living in the world, and feeling that her daughter's living representative was the child of another, - that she should leave the world and go into a convent. My sister, whose antagonism to Roman Catholicism was just then at its height, besought her to reconsider this, urged the many opportunities which were still left to her of being useful in the world, and the folly of throwing away a life which might be devoted to the highest aims and purposes. But Madame de Bolvilliers, on her part, was now firm in her determination. Esmeralda then begged that she might sometimes be allowed to hear from her, and said that she should be glad to write to her; that, though she could not live with her and be her daughter, she could never lose the interest she already felt about her. But Madame de Bolvilliers said, "No! she could not have half love; she must either have my sister altogether, or she must never hear from her; that would try her and tantalise her too much." My sister then begged that she might at any rate be allowed to hear of her once - of her well-being and happiness, and, after much entreaty, Madame de Bolvilliers said, "Yes, after a year has expired, if you inquire at a certain house in the Rue S. Dominique at Paris, you shall hear of me, but not till then." She then went into the next room, and she came back with a number of jewels in her hands. "These," she said, "were the jewels my daughter wore when she was with me. I must have one last pleasure - one last consolation in this world, in fastening them upon the person of my daughter's living representative upon earth." And so saying, she fastened the necklace, bracelets, &c., upon my sister, who possessed these, the Bolvilliers jewels, till the day of her death. More than a year elapsed and nothing whatever was heard of the Countess. In 1854, Italima and my sister were passing through Paris. They drove to see the Tombeau Napoleon, which. was then newly erected at the Invalides. As they returned, and as they were turning a corner, the name "Rue S. Dominique" caught my sister's eyes. she said, "the year has expired, and this is the place where we were to inquire after the Countess de Bolvilliers;" and in spite of her mother's assurance that it was useless to look for her, she insisted upon driving to the number the Countess had indicated; but the portress declared that she knew of no such person as Madame de Bolvilliers. Upon this Italima said, "Well, now you see how it is; I always told you she gave you a false direction, because she did not wish you to find her out, and you will never discover her." "But to find her I am perfectly determined," said my sister, and she insisted on getting out of the carriage and knocking at every door down the long extent of the Rue S. Dominique to make inquiries, but without any result. Her mother followed in the carriage, very angry, but quite vainly urging her to get in. Having done one side of the street, Esmeralda insisted upon going up the other, and inquiring at every door in the same way. Her mother stormed to no purpose. She then insisted upon going back to the first house and inquiring who did live there.'' Said the portress, "it is a convent of the Sacré Cur." When my sister heard this, she asked for the Superior, and said, "Is there any one here whose real name it may generally be thought better to conceal, but who was once known in the world as the Countess de Bolvilliers?" And the Superior said, " You then are the lady who was to come from Rome in a year's time: you are exactly the person who has been described to me. Yes, Sister Marie Adelaide was once known in the world as Madame de Bolvilliers." When my sister saw the Countess in her nun's dress, she found her perfectly calm and satisfied. She no longer reproached my sister for not having consented to live with her. She did not regret the step she had taken; she was perfectly happy in her convent life with its regular duties and occupations. She was also pleased that my sister should frequently go again to see hen My sister went very often, and, while visiting her, was introduced to the famous controversialist nun Madame Davidoff, by whose teaching and arguments she was converted to the Roman Catholic Church. The last thing Italima wished was that her daughter should become a Roman Catholic, for my sister was at that time a considerable heiress, the whole of her aunt's fortune being settled upon her, as well as that which Italima had derived from Lady Anne Simpson. And Italima knew that if my sister changed her religion, her aunt, a vehement Protestant, would at once disinherit her. My sister said nothing to her mother of what was going on. It was supposed that Madame de Bolvilliers was the only cause of her visits to the Sacré Cur. She also said nothing to her aunt, but her aunt suspected that all was not right. My sister had abstained from going to church on one pretext or another, for several Sundays. Easter was now approaching. "You will go to church with me on Good Friday, won't you, Esmeralda?" Aunt Eleanor kept saying. "It was Madame Davidoff who led Marguerite Pole across the courtyard of the Sacré Cur to the little room at the other side of it, where the Père de Ravignan was waiting for her. As she opened the door he looked up in an ecstasy. 'Voilà trois ans,' he said, 'que je prie pour votre arrivée, et vous voilà enfin.' She was quite overcome, and told him that for three years she had seen a figure constantly beckoning her forward, she knew not whither. The Père de Ravignan answered, 'I believe that you will see that figure for the last time on the day of your première communion;' and so it was: the figure stood by her then, and afterwards it disappeared for ever. "It was quite a great function in the church of the Sacré Cur. I was terrified out of my wits when I saw the crowd in the church, and in the chancel were the Bishop, the Papal Nuncio, and all the principal clergy of Paris, for it was quite an event. Marguerite and I were dressed in white, with white veils and wreaths of white roses. As the Papal Nuncio came forward to place his hands on our heads, in the very act of confirmation, there was a fearful crash, and Sir Peter fell forward over the bench just behind us, and was carried insensible out of the church. Mamma went with him, for she thought he was dying. When he came to himself his first words were - 'Louisa, Louisa! I have seen Louisa.' He had seen Lady Louisa Pole. The Dowager Lady Lothian13 once told me that in the letter of condolence which Madame Davidoff wrote to my sister after her mother's death she said, "The cross which you saw on the day of your first communion has been very heavy, but it has never crushed you. On the day of her first communion she saw a huge black cross between her and the altar. She lay on the ground, and it advanced to crush her, only it seemed as if an invisible power upheld it, and then she saw that the top was wreathed with flowers. Oh, - how prophetic was this vision of the cross! A few days after her reception, Sir Peter Pole fulfilled his word with regard to his daughter Marguerite. He turned her out of his house, and he never would allow her name to be mentioned again. Not only to her father, but to my sister, and to her own sister, Alice Pole, every trace of her was lost. How my sister met Marguerite Pole again, and of her extraordinary history in after years, will be told later in these volumes. I have been anticipating greatly, but it seems impossible to break up a connected story into the different years in which their events occurred. Meantime, without any romantic excitement and far removed from religious controversy, our quiet existence flowed on; though I was always fond of my sister and deeply interested in the faint echoes which from time to time reached me from her life. 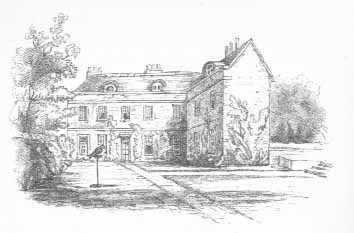 Mrs. Alexander was now settled at the Rectory at Hurstmonceaux, and she ruled as its queen. Uncle Julius consulted her even on the smallest details; she ordered everything in the house, she took the leading part with all the guests, everything gave way to her. And the odd thing was that Mrs. Julius Hare (Aunt Esther), instead of being jealous, worshipped with greater enthusiasm than any one else at the shrine of the domestic idol. I have met many perfectly holy and egotistical women, but Mrs. Alexander was the most characteristic specimen. In the summer of 1851, Arthur Stanley had been appointed to a canonry at Canterbury, which was a great delight to me as well as to him "One of my greatest pleasures in going to Canterbury is the thought of Augustus's raptures over the place and the cathedral," he wrote to my mother. And truly I did enjoy it, and so did he. The eight years he spent at Canterbury were certainly the happiest of his life. We spent part of my winter holidays there with him and his family. Mrs. Grote used to describe Arthur truly as "like a sausage, packed so full of information;" and, with many peculiarities, he was the most charming of hosts, while his enthusiastic interest peopled every chapel, every cloister, every garden, with historic memories. Arthur Stanley's was now the most stimulating companionship possible. He had lost all the excessive shyness which had characterised his youth, and talked on all subjects that interested him (ignoring those which did not) with an eloquence which "se moque de l'éloquence," as Pascal says. His canonry was situated in its own garden, reached by the narrow paved passage called "the Brick Walk," which then intersected the buildings on the north-east of the cathedral. 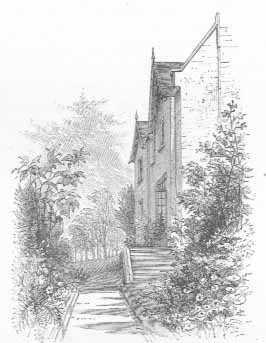 Just behind was the Deanery, where the venerable Dean Lyell used to be seen walking up and down daily in the sun in the garden which contained the marvellous old mulberry tree, to preserve the life of which a bullock was actually killed that the tree might derive renewed youth from its blood. The fact that a huge bough rent asunder14 from this old tree had taken root, and become even more flourishing than the parent stem, was adapted as an illustration by Arthur Stanley in a lecture in which he likened the two trees to the Churches of Rome and England. Enchanting indeed were the many ancient surroundings of the mighty cathedral the Baptistery with its open arches and conical roof half buried in ivy; the dark passage haunted by "Nell Cook;" the Norman staircase, so beautiful in colour; the Pilgrim's Inn, down a narrow entry from the street; the many tombs of the archbishops; and most of all the different points through which one could follow Thomas à Becket so vividly though his last hours from his palace to his martyrdom. I made many drawings, chiefly in pencil and sepia, for my mother and aunt deprecated colour. "Until you can draw perfectly you have no right to it. Do one thing well, and not two badly," they said. Of course they were right; and though often abashed and distressed by Aunt Kitty's dictum - "Crude, coarse, harsh, and vulgar," after looking at my sketches, I always felt the slight need of praise just possible from her lips a prize well worth striving for, I owe much to her (as to my mother's) constant inquiry, after I had done a drawing I was conceitedly proud of, as to what each line meant, and unless I could give a good account of its intention, desiring me to rub it out; thus inculcating the pursuit of truth, which she urged in drawing as in all else, instead of striving after unattainable excellence. SITE OF SECRET'S SHRINE, CANTERBURY. One great interest of this winter was going with Arthur Stanley excursions to Bozledeane Wood and tracing out on the spot the curious history of the so-called Sir William Courtenay, which is so strangely at variance with the usually matter-of-fact character of the present century. Briefly, the story is that of John Nichols Tom, son of a maltster at Truro, who ran away from his wife, and, going to Canterbury, announced himself as Sir William Courtenay, and laid claim to the title and rights of the Earls of Devon. His dress was most extraordinary - a scarlet robe with a crimson hanger. He was taken up, tried for perjury, and confined in a lunatic asylum, but, while there, contrived to interest Sir Edward Knatchbull in his behalf, and obtained his release by Sir Edward's influence with Lord John Russell. On his return to Canterbury in 1838, he gave out that he was not only Sir William Courtenay, but Jesus Christ himself. It was not so much his dress, as his long flowing hair, his beard, - his perfect proportions, his beauty and height, which lent themselves to his story, and his wonderful resemblance to the well-known pictures of the Saviour. The rustics and tradesmen welcomed him, and really believed in him. With forty of his most devoted disciples he took up his abode in a village near Canterbury. He was always preaching, and the chief part of his doctrine was faith - faith in himself. He formed a plan of storming Canterbury and seizing the cathedral on Whitsunday, when all the people were at the service there. But this plan was frustrated and he lived in comparative quietude till Michaelmas. Then a constable was sent to arrest him. The constable found Courtenay with his forty disciples at breakfast at a farmhouse near Bozledeane Wood, and when Courtenay saw him approach, he went out, shot him, and leaving him writhing in agony upon the ground, returned, perfectly unruffled, to finish his repast. After breakfast "Sir William Courtenay" led his disciples down the path, which still remains, into a hollow by a little stream in the heart of the wood. Here his followers, under Colonel Armstrong, a fanatical leader from Canterbury, threw up an earthwork, behind which they entrenched themselves, and here they were surrounded by a body of troops sent out in three bands to encompass them. Lieutenant Bennet, who was in command, was sent forward to parley with the impostor. Courtenay, who stood under a tree, waited till he came close up, and then shot him through the heart! The troops then rushed forwards, but the fanatics, though greatly astonished at the death of Courtenay, who, in spite of his professed invulnerability, fell in the first onset, fought with fury, and defended themselves with their bludgeons against the muskets of the soldiers. At last seven of them were killed and the rest taken prisoners. Mr. Curteis, the Principal of St. Augustine's College, who went with us to Bozledeane Wood, described the scene after the battle, the pools of blood, the trees riddled with shot, the bodies lying in the public-house, and the beautiful hair of Courtenay being cut off and distributed amongst the people. It was fourteen years afterwards that we visited the spot. We went to the farmhouse where the last breakfast was held and the gate where the constable was shot. The view was beautiful over the Forest of Blean to the sea, with the line of the Isle of Sheppey breaking the blue waters. A boy guided us down the tangled path to the hollow where the battle took place by the little stream, said to be now frequented by the white squirrel and badger. The "stool" of the tree under which Courtenay stood had lately been grubbed up. The boy described Courtenay and his forty men lying on a green mossy bank talking, the evening before they were attacked, and his giving "bull's-eyes" to all the children on the morning of the battle. Courtenay had great powers of attracting all who came in contact with him. A girl belonging to the farmhouse (who on a previous occasion had knocked his arm aside when he would have shot a magistrate) rushed about during the engagement to give water and help to the dying, perfectly regardless of the bullets which were flying around her. And after his death his wife turned up, "Mrs. Tom" from Truro, most deeply afflicted, for "he was the best of husbands !" I liked better being with the Stanleys at Canterbury than in London, where they talked as people in London do talk, and where my dearest mother, who had lived only in the narrowest groove latterly, and especially as to religious things, often felt it necessary to "testify to her religious profession in a way which was even more a mortification than a pain to me. After we began to go abroad, and she was removed from the "mutual admiration society" at Hurstmonceaux, she took a wider view of everything,15 and had a far better and more general influence in consequence. But there was a time when my mother, so infinitely tender and gentle in her own nature, almost seemed to have lost her hold upon the liberality and gentleness of the Christian gospel in her eager espousal of the doctrine of fire and worms beyond the grave. I think it is St. Jerome who says, "Desire rather to act Scripture than to write about it, to do rather than to say holy things." "Southgate, Feb.10, 1852. - My own dearest mother, I am settled here again after my most happy holidays, with the old faces round me, and the old tiresome conversation about nothing but the comparative virtues of ruff pigeons and carriers. . . . The last part of the holidays at Canterbury was indeed perfectly delightful, and I enjoyed it - oh! so much. I shall work very hard, and tell Arthur I shall be quite ready for an examination on Pericles, Marathon, and Arbela when I see him again. I am afraid Aunt Kitty thought me awfully ignorant of Greek history, but I really never have had anything to do with it.16 I think of you and your walk through the beautiful cloister when I plod through the muddy village to our hideous chapel. It is very smoky and dirty and misty, but - I will not be discontented." "Feb. 14. - And now I think of my dearest mother at home again, sitting in the evening in her own arm-chair in Peace Corner, with her little table and her Testament, and John and my Fausty17 - all white and clean-bringing in the supper, and, oh! how nice it must be!" It was very soon after her return from Canterbury that my mother, going to visit a sick woman in the village, slipped down a turfy frostbound bank near some steps in the garden at Lime. Unable to make any one hear her cries for help, she contrived to crawl to the back part of the house, whence she was carried to a sofa, and a doctor was sent for, who found that her leg was broken. After very many weeks upon a sofa, all lameness was cured, but the confinement, to one used to an active life, told seriously upon her health, and my dearest mother was always liable to serious illness from this time, though her precious life was preserved to me for nineteen years to come. Henceforward I never left her without misery, and when with her was perhaps over-anxious about her. Mr. Bradley wisely sent me at once to her for a day that I might be reassured, and I feel still an echo of the pang with which I first saw her helpless - as I so often saw her afterwards. How I remember all the sheltered spots in which Lea and I found primroses for her in the one day I was at home in this bitterly early spring! "March 13, 1852. - Yesterday we had 'a truce,' so I hurried to see Gerard's Hall in Bow Lane before its demolition. It has latterly been an inn, with a statue of Gerard the Giant over the door. A wooden staircase leads into the wine-cellar, once Gerard's Crypt, possessing slender arches and pillars, most beautiful in colour, and forming wonderful subjects for pictures, with pewter pots and stone pitchers thrown about in confusion." "April 29. - I have been to see Mrs. Gayford, the nurse who brought me over to Engand. She is very poor, and lives in an attic in the New Wharf Road, but was enchanted to see me. I sate upon the old sea-chest which has been often with her to India, and heard the history of her going to Mannheim and meeting my father with his 'weak baby - very passionate, you know, but then, it's in the nature of such young gentlemen to be so.' And then she described the journey and voyage, and my ingratitude to a lady who had been very kind to me by slapping her in the face when she was sea-sick." "June 15. - We are in the midst of an examination in Thierry's 'Norman Conquest.' At nine we all assemble in the dining-room, and the greatest anxiety is exhibited: the 'prophets' proclaim their views on the issue of the day, and the 'hunters' speculate upon the horses who are to 'run in the Thierry stakes.' Bradley comes in with the papers and gives one to each, and from that time we are in custody: no one can exchange a word, and two fellows may never go up to the table together. When we have done that set of questions, generally between one and three o'clock, we are at liberty till five, and then we are in custody again till we have done the next, at nine, ten, or eleven. Bradley is on guard all day, or, if he is obliged to go out, Mrs. B. mounts guard for him. They cannot employ themselves, as they have always to wander up and down the rows of writers with their eyes.. . . I like the life during these examinations, there is so much more excitement than over ordinary work, and one never has time to get stupid, but the others do nothing but bemoan themselves." For many years my sister had observed that she and her mother were followed and watched by a particular person. Wherever they went, or whatever they did, she was aware of the same tall thin man dressed in grey, who seemed to take a silent interest in all that happened to them. At last this surveillance became quite disagreeable and they tried to escape it. One spring they pretended that they were going to leave Rome on a particular day, announced it to their friends, and made secret preparations for quitting Rome a week earlier. They arrived in safety within a few miles of Florence, when, looking up at a tall tower by the side of the road, my sister saw the face of the Family Spy watching them from its battlements. Another time they heard that the Spy was ill and confined to his bed, and they took the opportunity of moving at once. As their vetturino carriage turned out of the piazza into the Via S. Claudio, in order to attain the Corso, which must be passed before reaching the gate of the city, the narrow street was almost blocked up by another carriage, in which my sister saw the emaciated form of the Family Spy propped on pillows and lying on a mattress, and which immediately followed them. Constant inquiries had long since elicited the fact that the Spy was a Sicilian Marquis who had been living at Palermo when my parents were there, and whose four children were exactly the same age as their four children. Soon afterwards his wife and all his children were swept away at one stroke by the cholera, and he was left utterly desolate. With characteristic Sicilian romance, he determined to create for himself a new family and a new interest in life by adopting the other family, which was exactly parallel to his own, and of which only the father had been removed-but adopting it by a mysterious bond, in which the difficulty of a constant surveillance should give entire occupation to his time and thought. When Italima heard this, after making inquiries about him which proved satisfactory, she sent to the Spy to say that she thought it much better this secret surveillance should end, but that she should be happy to admit him as a real friend, and allow him to see as much as he liked of the family in which he took so deep an interest. But, though expressing great gratitude for this proposal, the Spy utterly declined it. He said that he had so long accustomed himself to the constant excitement of his strange life, that it would be quite impossible for him to live without it; that if ever an opportunity occurred of rendering any great service to the family whose fortunes he followed, he would speak to them, but not till then. When I had been told this story, my sister and Italima took me out in the afternoon to drive in the Park. As we were passing along the road by the Serpentine, my sister suddenly exclaimed, "There; look! there is the Family Spy," and, among those who walked by the water, I saw the tall thin grey figure she had described. We passed him several times, and he made such an impression upon me that I always knew him afterwards. My sister said, "If you look out at ten o'clock to-night, you will see him leaning against the railing of Grosvenor Square watching our windows," - and so it was; there was the tall thin figure with his face uplifted in the moonlight. In 1852 the extravagance of my two brothers Francis and William was already causing great anxiety to their mother. Francis, who had lately obtained his commission in the Life-Guards through old Lord Combermere, had begun to borrow money upon the Gresford estate. William, who was in the Blues, with scarcely any fortune at all, had plunged desperately into the London season. When winter approached, their letters caused even more anxiety on account of their health than their fortunes: both complaining of cough and other ailments. One day, in the late autumn of 1852, my sister, coming into the dining-room of the Palazzo Parisani, found her mother stretched insensible upon the hearth-rug, with a letter open in her hand. The letter was from the new Sir John Paul, who had not in the least got over his first anger at his sister's change of religion, and who wrote in the cruellest and harshest terms. He said, "Your eldest son is dying. It is quite impossible that you can arrive in time to see him alive. Your second son is also in a rapid decline, though if you set off at once and travel to England with out stopping. you may still be in time to receive his last words." Palazzo Parisani was at once thrown into the utmost confusion, and all its inmates occupied themselves in preparing for immediate departure. Owing to the great number of things to be stowed away, it was, however, utterly impossible that they should leave before the next morning. Italima's state of anguish baffles description, for Francis was her idol. In the afternoon my sister, hoping to give her quiet, persuaded her to go out for an hour and walk in the gardens of the Villa Medici, where she would not be likely to meet any one she knew. In the long arcaded bay-walks of the villa she saw a familiar figure approaching. It was the "Family Spy." He came up to her, and, to her amazement, he began to address her - he, the silent follower of so many years! He said, "The time has now come at which I can serve you, therefore I speak. This morning you received a letter." Italima started. "You are surprised that I know you have the letter, and yet I am going to tell you all that was in that letter," and he repeated it word for word. He continued - "I not only know all that was in your letter and the distress in which it has placed you, but I know all the circumstances under which that letter was written, and I know all that has happened to your sons since: I know all about your sons. Your son Francis was taken ill on such a day: he saw such and such doctors: he is already much better: there is no danger: you may be quite easy about him. Your son William is not in danger, but he is really much the more ill of the two. Dr Fergusson has seen him, and a foreign winter is prescribed. It will not do for you to go to England yourself, but yet he is not well enough to travel alone. You have an old servant, Félix, who came to you in such a year, and who has been with you ever since. You must send him to fetch William, and here is a paper on which I have written down all the trains and steamers they are to travel by, both in going and returning." So saying, and having given the paper to Italima and bowing very low, the Family Spy retired. Italima went home. She acted entirely on the advice she had received. She unpacked her things and remained in her palazzo at Rome. She sent Félix, as the Spy had directed: he travelled according to the written programme, and in a fortnight he returned to Rome bringing William back with him. The Spy never spoke to any member of the family again. It is anticipating, but I may mention here that when we went to Rome in 1857, I wondered if we should see the Family Spy. I spoke of it to my mother. As we passed through the Porta del Popolo, he was the first person who met us. I saw him very often that winter, and again when I was at Paris with my sister in October 1858. That winter my sister often saw him at Rome. The next year was marked by our great family misfortunes. My sister always expected that somehow or other he would come to the rescue of the lost fortunes, but he never did. Some time after she heard that he had died very suddenly about that time. When I returned to my mother in the summer of 1852, she was at Eastbourne with Charlotte Leycester and very ill. It was the earliest phase of the strange hysteria with which I was afterwards so familiar-sudden flushings with a deathly chill over her face, and giddiness, sometimes followed by unconsciousness, occasionally by a complete apparent suspension of life, a death-like trance without breath or pulsation, lasting for hours, or even for many days together. It is a very rare illness, but it is known to doctors, and I believe it is called "Waking coma." In this summer I first began the anxious watchings of first symptoms - the swelling of my mother's fingers around her rings, and then by a kiss searched if the alarming chill had already taken possession of her face. Happily, the heavenly state of mind in which she always lived took away from her the terror of these illnesses; the visions which beset her waking and sleeping were of all things good and beautiful: the actual trances themselves were to her a translation into heavenly places and to the companionship of the blessed, and, for those who looked upon her, a transfiguration. When my mother was able to move, it was decided that she must try foreign air, which then and often afterwards completely restored her to health for the time. It was settled that we should go to Heidelberg, and as her cousin Charlotte Leycester was to travel with her, I was able to precede her for a few days in the old Belgian towns, which, as I was then in the first enthusiasm about foreign travel, I looked upon as absolutely entrancing. "St Omer, July 15, 1852. - I shall never feel the day is properly over till it has been shared with my own dear mother. I have only left you a few hours, and yet, at an expense of one pound, how great is the change! . . . We embarked at Dover at one, with a cloudless sky and rippling waves, and an Irish lady near me was most amusing, telling anecdotes first in French to her neighbour on the other side and then in English to me. But half-way across the Channel the thickest of fogs came on, we made no way, and cries and whistles were kept up without cessation. Then it grew rough, the Irish lady's jokes became less vivacious, and at last she followed almost all the other passengers to the side of the vessel. At five o'clock sea and fog subsided and we went on, but then the tide had gone from the harbour, and when we were a mile and a half from Calais, all the passengers were transferred to open boats. As we were rowed in under the long pier, the beautiful fishing-nets were being drawn up out of the calm waters, and the old French faces with the high white caps and large gold earrings were looking down as last year. . . . The railway journey was delicious through the rich flat country, and the churches here, of the two missionary saints, Bertin and Omer, are most interesting." "Bruges, July 17. - The heat is so intense that I am more inclined to watch the perfectly motionless branches of the acacia under the window than to do my duty by the sights. The old town and its people all seem lulled to sleep by the oppression. Yet the Dyver Canal is delightful, with its strange old towers and its poplar trees, and the market on its bank filled with Dutch fishwives in bright costumes. . .
My straw hat attracts much attention. 'Voilà le costume anglais,' I hear the people say. . . . The table d'hôte was very amusing, musicians playing the while on harp, guitar, and flute. To-night there is to be a procession which has had no equal for a hundred years. "This morning I went to the Béguinage, a little village with walls of its own in the middle of the town. The sweet-faced Béguine nuns in long white veils were chanting the service in the church, ranged in the stalls of the choir. They wore long trains, which they took up when they came out of church. A priest was there, but the abbess seemed to take his part in officiating.18 . . . The streets are beautifully decorated for the procession, planted with living fir-trees, half the height of the houses, which, as they are very narrow, gives the effect of an avenue; but, behind, the houses are hung with flags and tapestry. In some streets altars are raised, surrounded with orange-trees and flowers. "10 P.M. - The ceremonial was to celebrate 'the jubilee of the Carmelite tonsure.' . . . The streets were all hung with flowers and tapestry, and garlands made a flower canopy across them, beneath which streamed crowds of peasants from every town in Belgium. Each pine-tree was a huge Christmas-tree with thousands of wax-lights blazing in the motionless air. Many hundreds of clergy formed the procession, and Capuchins and Carmelites and Franciscans, many with bare feet and flowing beards. There were also hundreds of torch-bearers and children swaying censers. Then came troops of young girls, 'brides of Christ,' in white, with garlands: then a beautiful little boy as St. John leading his lamb by a string; then Jesus, Mary, and Joseph - Mary crowned with a veil covered with golden stars, and endless winged cherubs in attendance; then abbots and canons; and lastly, under a crimson canopy, in a violet robe, the Bishop bearing the Host. "The scene in the Grande Place was magnificent. Along the base of the halles burning torches rolled up their smoke around the belfry and the brilliant banners, and the sea of faces was motionless in expectation. It was a tremendous moment when the immense mass of clergy had sung a hymn around the altar in the square, and the Bishop took off his mitre and knelt upon the rushes before the Sacrament. Then, as he lifted the Host in his hands, the music ceased, and the whole multitude of people fell almost prostrate in silent prayer." After visiting Ghent, Malines, Antwerp, and Louvain, I joined my mother and her companions at Brussels, and we proceeded by the Rhine and Frankfort to Heidelberg, where we found a charming apartment almost at the castle gate, at the back of a baker's shop, with a little oleander-fringed garden high on the hill-top, overlooking the town and river. Two sisters and their cousin waited upon us. The castle gardens were like our own, and delicious in their shade and freshness and the scent of their roses and lilacs; and the courtyards and towers were full of inexhaustible interest. We were never weary here of studying the history of the English Elizabeth, Queen of Bohemia, and finding out her connection with the different parts of the castle, and her little garden with its triumphal arch Was our favourite resort. We seldom went down into the town except on Sundays, when the famous Dr. Schenkel preached in St. Peter's Church at the foot of our hill. In the evenings we used to walk along the edge of the hills, through flower-fringed lanes, to the clear springs of Wolfsbrunnen, where there was a sort of nursery of trout (florellen). The students shared the gardens with us, with their ridiculous dress and faces scarred for life in the silly duels at the Hirsch Gasse, which they looked upon as a distinction, and which generally arose from quarrels about giving way to each other in the street. They often, consequently, spent six hours a day in practising the sword-exercise, to the ruin of their studies. When we were at Heidelberg, all the clothes in the place used to be sent to be washed in the village of Spiegelhausen, because there the water was softer, and when its hills were covered with the linen of the whole town they produced the oddest effect. A large Heidelberg family considered it a great point of honour to have linen enough to last them six months, so as only to send it to be washed twice in the year, when it went in a great waggon to Spiegelhausen. A young lady always endeavoured to have this quantity at her marriage. Lodging in the castle itself was M. Meyer,19 afterwards a kind of secretary to the Empress Augusta of Germany, a most singular man, who was then employed upon an enormous poem, which he believed would throw Dante into the shade, though it has passed quite unnoticed. He delighted to read us some of its endless cantos in the castle gardens, and we tried to look as if we understood and appreciated. But he was really very kind to us, and was a most amusing companion in the long walks which he took us-to the Angel's Meadow, a small green space in the forests high on the mountains beyond the river, and elsewhere. I shared his admiration for Mrs. Hamilton (née Margaret Dillon, the maid of honour), who was at that time in the zenith of her beauty and attractiveness, and was living at Heidelberg with her husband and children. We spent a day at Schwetzingen, where at that time was living the Grand Duchess Stephanie, the daughter of the Comte de Beauharnais and great-niece of the Empress Josephine, who had been adopted by Napoleon, and married against her will (18o6) to the Prince of Baden. My aunt, Mrs. Stanley, was very intimate with her, and had much that was interesting to tell of her many trials. It was during the latter part of our sojourn at Heidelberg that the Stanleys (Aunt Kitty, Arthur, and Mary), with Emmie Penrhyn, came to stay with us on their way to spend the winter at Rome, a journey which at that time was looked upon as a great family event. With them I went to Spires and its beautiful cathedral, and on the anniversary of my adoption we all went over to Mannheim, and dined at the hotel where, seventeen years before, I, being fourteen months old, was given away to my aunt, who was also my godmother, to live with her for ever as if I were her own child, and never to see my own parents, as such, any more. I dwell upon this because one of the strangest coincidences of my life - almost too strange for credence - happened that day at Mannheim. When we returned to the station in the evening, we had a long time to wait for the train. On the platform was a poor woman, crying very bitterly, with a little child in her arms. Emmie Penrhyn, who was tender-hearted, went up to her, and said she was afraid she was in some great trouble. "Yes," she said, "it is about my little child. My little child, who is only fourteen months old, is going away from me for ever in the train which is coming. It is going away to be adopted by its aunt, who is also its godmother, and I shall never, never have anything to do with it any more." It was of an adoption under exactly the same circumstances that we had been to Mannheim to keep the seventeenth anniversary! After parting with the Stanleys, we left Heidelberg on the 26th of August and made a little tour. "Coblentz, Sept 1. - Here we are again at Coblentz, in a room looking on the friendly Rhine, with Ehrenbreitstein all new and yellow on the other side the water, and the older houses of the town below us. "Our little tour has been most successful. We went first to Baden, and spent the afternoon in driving up through the forest to the Alte Schloss, coming down in a splendid sunset-the golden Rhine gleaming in a red valley through the dark pines. The next morning, as I was being shown over the Neue Schloss, I asked about the Grand Duchess Stephanie and the Princess Wasa, when the guide rushed to a window and said, 'Come quick, for the princesses are riding out of the courtyard upon their asses, as they do every morning before breakfast;' but I saw little more than their shadows flit across the court as their donkeys clattered through the gate. I was shown the circular opening through which prisoners bound in a chain used to be let down into the oubliettes and their subterranean judgment-hall, and the place where they had to give the baiser de la Vierge, when they fell through a trapdoor upon wheels set round with knives which cut them to pieces. "Next day we went to Strasbourg - so hot it was! - and then to Myz, where the cathedral is poor outside, but most glorious within - a vista of solid round pillars terminating in a blaze of stained glass. In one of the towers is 'Groggy,' a real dragon, dried. "A diligence took us to Sierck on the Moselle, where we had a long time to wait, and mother sate and drew whilst I rambled about. It was evening before the churches of Treves appeared above the river-bank. We stayed at the charming Rothes Haus, with the little cross opposite commemorating the fiery vision of Constantine, which is supposed to have taken place there. Treves has a wonderful round of sights - the Roman baths, a beautiful ruin with tall brick arches, brilliant still in colour: thence up the vine-clad hill to where a gap between two ruined walls forms the entrance of the amphitheatre: back by the Porta Nigra, noblest of Roman gateways, with the hermitage whither S. Simeon was brought from Syracuse by Archbishop Poppo, arid where he spent the rest of his life: finally to the cathedral and the Liebfrauenkirche with lovely cloisters filled with flowers. 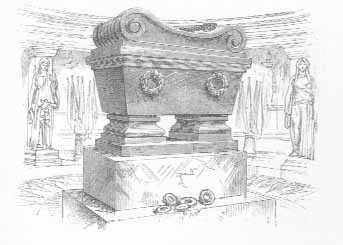 "We made great friends with the old sacristan at the cathedral, who gave us an extraordinary account of the last exhibition of its great relic, the 'Heilige Rock,' or seamless coat of the Saviour, when 3o,ooo persons passed through the church every day, weeping and sobbing, singing and praying as they went. The coat is only exhibited every twenty-five years, and awaits its next resurrection entombed in a treble coffin before the high altar. It has certainly done great things for Treves, as the cathedral has been restored, a capital hospital built, and all the fortunes of the citizens made by its exhibition. The sacristan was delighted to find that I also was a 'Romische Burgher,' but hoped that in a few years I should 'want some more cloth putting into my coat.'" "Namur, Sept 2. - Here I am, alone and dreary in the world once more. . . It always seems as if I could have done a great deal more for you, and been more gentle and loving when I am gone, but I am sure my own darling mother will never really have thought me wanting in gratitude to her." "Braine le Cointe, Sept 3. - I believe no one has such misfortunes as I have. I was at the Namur station at six this morning, and here by eight. Then the guard suggested my going into the waiting-room, as there was half-an-hour to wait before the train came up for Calais, for which I had a through ticket. I had no summons to the train: it came up on the opposite side of the station (concealed by another train) in five minutes, and I was left behind, and there is no train again till past seven o'clock this evening, and then only to Lille! - eleven hours to wait!" "Southgate, Sept 4. - As the dreary hours at Braine le Comte waned, two English families arrived from Namur, and with two ladies, 'Alice and Sybil,' and the boys of Sybil, I sallied out to see Braine le Comte, and then into the forest to pick bilberries for the luncheon which I had no money to buy. Then I arrived in the night at Lille, and being unable to find a hotel in the dark, and indeed having no money to pay for going to one, wandered about till at length I collapsed altogether on the doorstep of one of the houses. Here I was found by some of the old market-women when they arrived for the opening of the market at dawn, and they took me into the halles, and made me share their early breakfast. This was a kind of black broth in a huge wooden bowl, into which we all dipped a great spoon in turns, but it was most welcome, and the old women were very kind to me." It was a great pleasure this autumn to pay a little visit to my mother's old friend Miss Clinton, whose frequent visits to Lime had counted as some of the happiest days of my childhood. She was essentially what the French call "bonne à vivre," so good-humoured and cheerful, and so indulgent to the faults of others. The crystal stream of her common-sense had always seemed to stir up the stagnant quagmire of religious inanities which the Maurice sisters had surrounded us with at Hurstmonceaux. "Cokenach, Oct 3. - I was so glad to come here for two days. The dear old Stoke carriage with Lou Clinton20 in it met me at Royston. She took me first to see the antiquities - Lady Rohesia's chapel and Roysie's Cave, which gave the place its name, and a house where James I. stayed when he came hunting, in which his bedroom is preserved with its old furniture: in the garden is the first mulberry-tree planted in England. We reached Cokenach by the field roads. "I was taken up at once to Lady Louisa,21 who sate, as years ago, in her large chair by the blazing fire-logs, with all her baskets of papers round her, and her table covered with things." "L'action bonne et parfaite est le véritable caractère de l'amour de Dieu . . . c'est l'amour effectif quil faut à Dieu," and I determined to try to act upon it. "Sept 29, 1852. - I have now regularly entered on my parochial duties. There is a long strip of cottages in the village, yet out of Southgate parish, and which the clergyman of their own parish will have nothing to do with, as those of the inhabitants who go to church go to Southgate, so that he gets no marriage fees. The people would have been dreadfully neglected if Mrs. Bradley had not taken care of them, and as it is, they are in a very bad state, most of the men drunkards, and their wives and children starving. As the houses look out upon an open drain, they teem with illness for which there is no remedy. The children spend their days in making mud-pies upon the road. . . . I have now got all these cottages as my peculiar province. "It was strange to find this really heathen colony - for they know nothing - close by, and I am glad to have a foretaste of what my life's work will be like." "'Now I will tell you a story about Hare. When Hare was a little child he lived at Rome: you know what we call it? - ("Oh yes, papa, Babylon.") - Well, he lived at Babylon, and he was a very good little boy then, but he used to walk about dressed in scarlet, for they all wore scarlet there. One day a man was seen in the streets, very beautiful, a stranger with silver wings. And he said, "Are you little Hare, and would you like to go with me and learn how to be good?" for he was an angel. And little Hare said, "Oh yes, that is what I always like to be and try to be, and I shall like very much to go." "'So the angel took little Hare up and carried him away on his back: and his poor mother went up and down the streets of Babylon crying and wringing her hands, for she did not know where her dear boy was gone. "'But the angel carried Hare to the Happy Island, where all manner of little children were living - Ada and Angelina, and numbers of others. All these little children came to Hare and asked why he came there in his scarlet dress without getting it washed, because they all wore white robes, and they told him he must get his robes washed too. But he said he liked his scarlet clothes, and did not wish to have white robes like theirs, and he was very sullen and angry. "'So then the angel and the children left him alone and took no notice of him. But after a time he observed that all the other children had little wings while he had none, and he felt sorry when the great angel passed by every day and took no notice of him, and at last he said, "How sorry I am to have spoken as I did, and how much I should like to have my robes washed and made white like those of the Happy Island children." "'And the instant he said these words, his scarlet dress fell off; and he had beautiful white robes given him, and he felt a strange sensation in his shoulders, for little wings were growing there. And all the little children came up and kissed him, and cried, "Hosanna! hosanna! he is good; and he has got little wings like us." "'So Hare lived on in the island, till, one day, the angel said, "Have you ever thought what your poor mother is doing now, and would you not like to go back to her?" And Hare said, "But can I always be good and have white robes and wings if I go back to Babylon?" And the angel said, "No, but you can try," and he took Hare on his back and flew off and off till he came to Babylon, where he set Hare down in the streets: and all the people looked at him, and when they saw his white robes and his wings, they said, "Why, there is a little angel come!" "'And Hare went to his mother when she was asleep, and when she awoke she thought it was a dream, but he said, "No, mother, it is no dream. I have been in the Happy Island all this time, and I have come good." Then his mother, when she saw his wings, said, "Oh, go on being good, and then your wings will grow larger and larger, till at last you will not only be able to go back yourself to the Happy Isle, but to take me with you." And Hare wished to do this, but nevertheless Babylon is a bad place, and as he went out in the streets his dress became soiled with their mud, and he mingled and played with its children till his wings grew smaller and smaller, and at last they fell off altogether. "'Still, if you were to examine Hare on the bare shoulders when he is undressed, you would see the stumps where the wings were.'" On the 17th of November I went up to London for the funeral of the Duke of Wellington on the following day. Very late at night Arthur Stanley arrived, having travelled day and night from Rome on purpose. We had to set off at four o'clock next morning to reach our reserved seats in St. Paul's, though I do not think the service began till twelve. We were four hours in the long chain of carriages wending at a foot's pace towards St. Paul's. A number of curious cases of robbery 'occurred then. I remember one, of an old gentleman in a carriage before us, who was leaning out of the carriage window with a pair of gold spectacles on his nose. A well-dressed man approached him between the two lines of carriages and said, "Sir, don't you know that you're very imprudent in leaning out of the carriage window on this occasion with such a very valuable pair of gold spectacles upon your nose? An ill-disposed person might come up and whip off your spectacles like this" - and, suiting the action to the word, he whipped them off, and escaped between the opposite line of carriages, leaving the old gentleman without any chance of redress. The ceremony in St. Paul's was sublime beyond any power of words to describe. I recollect as one of the most striking features the figure of Dean Milman - bent almost double, with silver hair - who had been present at the funeral of Nelson in 18o6, when he "heard, or seemed to hear, the low wail of the sailors who encircled their Admiral." My mother saw the procession from the Bunsens' house at Canton Terrace. In the winter of 1852-53 I passed through one of those phases of religious conviction which ultra-Evangelicals would call a "conversion" - an awakening at a distinct time which I can remember (January 11) of the strongest feeling of repentance for past sin and desire for improvement. "O amare! O ire! O sibi perire! O ad Deum pervenire," are words of St. Augustine which expressed my whole feeling at the time. I have no doubt that this feeling - exaggerated and violent as it was - was perfectly sincere at the time, and possibly in some way may have had a wholesome influence on my life. But I am quite sure that in other ways it had a very unwholesome influence, and that the habit of self-introspection and self-examination which I then felt a duty, and which many clergymen inculcate, is most injurious, as destroying simplicity of character, by leading an individual to dwell upon himself and his own doings, and thus causing him to invest that self and those doings with a most undue importance. I have always in later years, where I have had any influence, done all I could to discourage and repress these sudden religious "awakenings," producing unnatural mental sufferings at the time, and usually lapsing into an undesirable rebound. With an imaginary reality of conviction, young people are often led into hypocrisy, from a sense of the meritoriousness of that very hypocrisy itself in the eyes of many. I am quite sure that a simple Christian life of active benevolence and exertion for others, of bearing and forbearing, is the wholesome state - a life which is freed from all thoughts of self-introspection, and from all frantic efforts (really leading aside from simple faith in a Saviour) after self-salvation. I dwell upon this here for a moment, though I dislike to do so, because no narrative of my life could be true without it. The last nine months of my stay at Southgate were less pleasant than the preceding ones, as Mr. Bradley had ceased to like me, and, though he fully did his duty by me in work-time, plainly showed, out of working hours, that he would be very glad when the time came for our final separation. This change arose entirely from my resistance, backed up by Dr Vaughan at Harrow, to many of his absurd punishments. I was now nearly nineteen, and I offered to bear any amount of rational punishment he chose, but utterly refused to wear my coat inside out, and to run with a tin kettle tied to my coattail through the village, &c., which were the punishments he liked to impose. My Latin prose was always the greatest stumbling-block in my work, and I was most trying, and inveterately careless over it, making the same mistake over and over again. At last Bradley decreed publicly, that for each of my commonest blunders, one of my companions should - kiss me! They thought it great fun, but I declared I would not submit. The decree had a good effect so far, that, for a very long time - a most unusually long time, the mistakes were evaded. At last, after about three weeks, a morning came when one of the mistakes occurred again. The fellow appointed to kiss me for this mistake was a big Scotchman named Buchan. Immediately the whole room was in motion, and Buchan in hot pursuit. I barricaded the way with chairs, jumped on the table, splashing right and left from all the ink-stands, but eventually I was caught and - kissed. In a blind fury, scarcely knowing what I did, I knocked Buchan's head against the sharp edge of the bookcase, and, seizing a great Liddell and Scott Lexicon, rushed upon Bradley, who was seated unsuspecting in a low chair by the fire, and, taking him unawares, banged him on the bald scalp with the lexicon till I could bang no longer. Bradley, after this, naturally said I must leave. I instantly fled over hedge and ditch fourteen miles to Harrow, and took refuge with the Vaughans, and after a day or two, Dr. Vaughan, by representing the fatal injury it would do me to be left tutor-less just when I was going up to Oxford, persuaded Bradley to take me back and teach me as before. But this he consented to do only on condition that he was never expected to speak to me out of work-time, and he never did. My Southgate life henceforth was full of (in many ways well-deserved) petty hardships, though they were made endurable, because the time in which they had to be endured became every day more limited. "Southgate, Feb. 6,1853. - Bradley of course keeps aloof; but is not unkind to me, and it seems nothing to come back here, with Oxford as a bright guiding-star. . . . I now work all day as if it were the last day of preparation, and Walker and I question each other in the evening." "Feb. 12. - I have been in my Southgate district all afternoon. The wretchedness and degradation of the people is such as only sight can give an idea of. In the last house in the upper alley live the Gudgeons, where two children were born a few days ago, and died a few hours after. I found Mrs. Gudgeon downstairs, for she had brought the thing she called a bed there, because, she said, if she was upstairs the children banging the doors maddened hen Two dirty shaggy children, never washed or combed since their mother was taken ill were tugging at her; the eldest daughter, in tattered clothes and with dishevelled hair, was washing some rags, the fumes of which filled the room, while the floor was deep in dirt. Since the mother has been ill she has had the only blanket the family possess, so that she says the children howl with cold all night." "In another cottage I found that a good woman, Mrs. Caius, had just taken in a dwarf child who had been much ill-treated by the woman that took care of it. It had been dashed to and fro with convulsions for three hours, and now its limbs were quite rigid and stiff. It had not been stripped or washed for days, and its face was so begrimed with dirt that the features were scarcely discernible." "February 19. - Aunt Kitty has done a most kind act in securing Mr. Jowett's protection for me at Oxford. I have had a kind note from him, in which his using my Christian name at once is very reassuring, though the fact that the seventeenth word he ever addressed to me is a Latin one looks rather formidable for future conversations." Unfortunately, when I was just prepared to go up to Oxford for "Matriculation," I caught a violent chill while learning to skate, and, just when I should have started, became most seriously ill with inflammation of the lungs. As soon as I was able to be moved, I went to the Vaughans at Harrow, where I soon recovered under kind care and nursing. I always feel that I owe much in every way to the kindness and hospitality of my cousin Kate during these years of my life. As the authorities at the University were induced to give me a private examination later, in place of the one I had missed, I only remained at Southgate for a few days more. "March 13. - My mother will like a letter on my nineteenth birthday - so very old the word makes it seem, and yet I feel just as if I were the dear mothers little child still; only now every year I may hope to be more of a comfort to her. "Yesterday afternoon I went with Papillon to take leave of the (Epping) Forest. It was a perfect day; such picturesque lights and shades on the Edmonton levels. We went through Chingford churchyard, and then through the muddy forest to the old Hunting Lodge, which I had never reached before, and felt to be the one thing I must see. It is a small, gabled, weather-beaten house, near a group of magnificent oaks on a hill-top. Inside is the staircase up which Elizabeth rode to dinner in her first ecstasy over the defeat of the Spanish Armada. Afterwards, I suppose because she found it easy, she had a block put at the top from which she mounted to ride down again. To prove the tradition, a pony is now kept in the house, on which you may ride up and down the stairs in safety. The lodge is still inhabited by one of the oldest families of forest-rangers, who have been there for centuries: in a room upstairs are the portraits of their ancestors, and one bedroom is surrounded with tapestry which they declare was wrought by the Queen's own needle. "And to-morrow I am going to Oxford-how exciting!" 3 Parnell, "Rise of Woman." 5 A well-known starting-point in the valley below where the Holborn Viaduct now is. 6 Seventh daughter of the 1st Lord Ravensworth, whose wife was my grandmother's only sister. 7 Grandson of my adopted grandfather's elder brother. 9 Ernest Augustus, Duke of Cumberland, 5th son of George III. 10 The 8th Earl of Denbigh, as Lord Feuding, married, 1st, Louisa, daughter of David Pennant, Esq., and Lady Emma Pennant. 11 The whole of this account was corrected by Lord Feilding, then Earl of Denbigh. 12 "He spoke of the twin brothers George and James Macdonald as two simple, single-minded, and veracious men, and more than this, as eminently godly men. He described how the healing of their sister occurred. She had lain for long bedridden and entirely helpless. One day they had been praying earnestly beside her, and one of the brothers, rising from prayers, walked to the bed, held out his hand, and, naming his sister, bade her arise. She straightway did so, and continued ever after entirely healed, and with full use of her limbs." - J. C. SHAIRP, "Thomas Erskine." 13 Cecil, widow of the 7th Marquis. 15 How seeing many people and characters makes one sympathise with the observation of the Duchesse d'Orleans: "En fait de devotion, je vois que chacun suit son humeur; ceux qui aiment à bavarder veulent beaucoup prier; ceux qui ont l'âme libérale veulent toujours faire des auménes; ceux qui sont gais pensent tres bien servir Dieu, en se rejouisaant de tout, et en ne se fachant de rien. En somme, la dévotion, est, pour ceux qui s'y adonnent, la pierre de touche qui fait connattre leur humeur." 16 Grote's History was coming out at this time, and I had got into terrible disgrace with the Stanleys from knowing nothing about it. 18 There are 6ooo Béguines in Belgium, nuns bound by no vow, and free to return to the world if they wish while they wear the habit of their Order, they live in a colony, but in separate houses, and devote their whole lives to temporal works of mercy. 19 Carl Friedrich Meyer, for some time German secretary and librarian to Prince Albert. 20 Louisa, eldest daughter of Sir William Clinton of Cokenach. 21 Louisa Dorothea, widow of Lieutenant-General Sir William Clinton, was daughter of the 1st Baron Sheffield, and younger sister of Maria Josepha, 1st Lady Stanley of Alderley. we had always visited her on the way to Norwich.